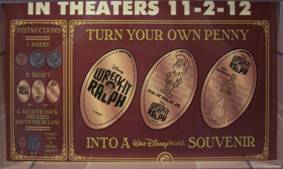 The new Disney movie Wreck-It Ralph has generated 6 new designs at Hollywood Studios. 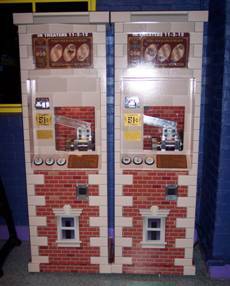 Two machines were added to Pizza Planet in November 2012. In January they were moved to the Prop Shop (there are now 5 machines at that location). 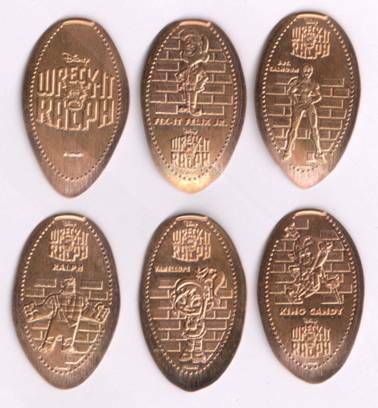 The designs are Wreck-It Ralph logo; Fix-It Felix, Jr., Sgt. 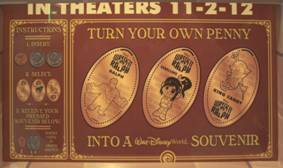 Calhoun, Ralph, Vanellope; and King Candy. I have a limited number available for sale.